If you are looking for information on the PMD Furniture Direct franchise business opportunity, PMD Furniture franchises or PMD franchising, then you have come to the right place. The concept, on which PMD Furniture Direct is based, has humble beginnings. It was developed by current President and CEO Jeffrey S. Hosking in late 1997 out of an 800 sq. ft. clearance center and small adjacent warehouse. Mr. Hosking's mission was to improve the overall customer experience including price, customer service and product selection. PMD Furniture Direct™ has developed a unique business model for retailing furniture and bedding at competitive retail prices to the public, utilizing extensive merchandising, marketing, sales and logistics expertise. Quick turnaround time to be up and running as a franchise owner. We take advantage of key elements and business strategies of wholesale retailers, leading bedding companies, and some of the most successful marketing firms to create what will soon be the most dominant furniture enterprise in the country. Royal Heritage Home Furnishings, our own brand of quality furniture and bedding, will continue to be unmatched in its value. We offer excellent training, significant income potential, and the opportunity for personal career growth in a rapidly expanding organization. 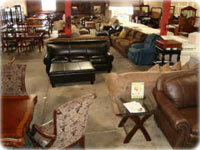 We are widely considered one of the most lucrative financial business opportunities in the furniture industry. 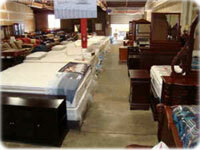 For PMD Furniture Direct franchise owners, the American dream is alive and well. "After spending 25 years in the corporate world working for Fortune 100 companies I knew it was time to start working for myself. Since the start of my business I have experienced tremendous support from the PMD corporate office and my Field Sales Director. The training I received has been the best of any company I have ever worked with. I just love this business and can truly look people in the eye everyday and tell them we save people lots of money. People appreciate that. "Meanwhile, referrals have already grown to 20% - 25% of my business after just three years. PMD Furniture Direct has made me the proud owner of a small business and given me the ability to leave it to my son Addison who helped me build it. I have thoroughly enjoyed my experience as a PMD franchisee, and would recommend the PMD franchise opportunity to anyone who wants to start and run their own business." "Before becoming my own boss, I was fearful of owning my own business and leaving the comfort and stability of the corporate world. Now I love what I do and I've got the ability to control my own life. I have more freedom and time to spend with my family. The financial up-front costs and the estimated return rates with PMD were far better than that of other brands and business opportunities. If you follow the PMD model and processes, you'll be financially successful." Annual field and secret shopper visits to our franchisees' locations for training purposes. This systematic training process provides our new franchisees with the knowledge and the support needed to put them on the path to success. So regardless of your level of experience, as part of the PMD Furniture Direct™ family, you will receive the ongoing training and support needed to own and operate a successful business. The mission of PMD Furniture Direct, Inc. is to become one of the greatest franchise opportunities in the U.S. by delivering to our franchisees a fun, challenging and rewarding business that provides pride of ownership, an excellent quality of life and an outstanding income opportunity with relatively low risk and capital investment.